SampleScience has released Nostromos – a cinematic plugin instrument. It is a rompler, with a totally straightforward interface. Nostromos contains 80 instruments, such as pads, textures, bells, leads and more. The interface has a main display, an FX section, a Main section and an Envelope section. The Main section has typical Pan and Volume controls. The Envelope section has Attack, Decay, Sustain and Release buttons. Also, it has a Sub control, which will add a sub frequency to the preset. The Dust parameter works as a volume knob for an additional pad waveform. Crackles, as the name says, is a crackle effect. The FX section has Noise and Saturation buttons. Both will help to shape the preset sound. The main display will show information about the patch, and it also has a simple modulation feature, where it’s possible to use LFO to modulate pitch, expression or pan. Above it, the user can set Depth and Rate parameters for the LFO. There’s a Velocity setting as well, and the user can choose from Normal, Weak and Strong. In the main display is also possible to set the Reverb amount for the patch, as well as adjust the overall volume. 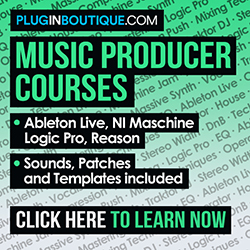 – Compatible with most DAWs on the market. There’s a free Light Edition, with 5 instruments, so that the user can try the plugin before buying.